While the “cloud” is becoming a more prominent way to work and store files, there are some tools that users still feel more comfortable keeping in their own toolbox as opposed to a shared one. Take the Adobe Crative Suite, for example. With Adobe Creative Cloud stepping into the spotlight, the way of the future is undeniable. But that doesn’t mean designers (or budding creatives) have to ditch their Adobe CS6 just yet. In fact, now might just be the best time to take your CS6 skills to new heights. That’s where The Adobe CS6 Training Bundle comes in. Right now you can get this comprehnsive training program for only $99 – that’s 88% off – from Cult of Mac Deals. The Adobe CS6 Training Bundle features over 100 hours of training and covers more than 1000 lessons. You can wring a lot out of CS6, and this bundle will help you do just that. Adobe Photoshop CS6 Video Course: Photoshop is the foundational platform for any designer to learn and by the end of this course you’ll have developed the creative insight to use Photoshop CS6 to a high level. Boasting over 175 lectures and 13 hourrs of content, this is a comprehensive learning resource that’ll teach you all the fundamentals. Once you’ve learned Photoshop, you’ll be designing your own world before you know it. Adobe Illustrator CS6 Tutorial: Designed for professionals around the world, Illustrator can be a mystifying program. This course breaks it down into easy-to-understand sections that even an absolute beginner can understand. This course will help take your design understanding and skills to the next level. Adobe InDesign CS6 Tutorial – Beginner to Advanced Training: Getting great results with InDesign takes hours of practice and can be a frustrating experience. This training course relieves that frustration through well thought out and presented teaching material. Learn to create professional looking content documents from basic brochures to engaging interactive and animated projects for multiple platforms. If you’re a designer, want to be a designer, or simply want to take on an invaluable skill, this tutorial is perfect for you. Adobe Dreamweaver CS6 Course: Whether you are new to Dreamweaver, or have used it before, this course will show you how to get the most out of the experience. Working files are included with this training video, to allow you to learn alongside the author with the same files that he is using to teach with. Starting with the basics, you will be shown step-by-step the skills necessary to have you creating in no time! Adobe After Effects CS6 Course: After Effects is a key tool in creating non-linear visual effects and with no previous experience required. Let’s face facts – everything looks better with visual effects. This course allows you to find out about the visual power that After Effects places in your hands. The new skills you will learn will make you an expert in turning ordinary images into mind-blowing pieces of art that will help with your own projects at home or in your professional field! Adobe Premiere Pro CS6 Course: Designed for the beginner, this tutorial begins with the basics, and gradually teaches you everything you need to do to create high-quality video projects. By the conclusion of this training course on Premiere Pro CS6, you will be able to throw your video on screen and watch everyone marvel over the masterpiece you created. Adobe Flash CS6 Course: Flash is a multimedia platform that can be used for everything from playing movies and videos, to creating animations, to creating fully interactive games. By the conclusion of this computer based training course you’ll be fully comfortable with the basic tools and techniques in Flash, and capable of creating and publishing dazzling Flash projects! Learn To Conquer Encore CS6: Creating a movie or video has enough complications to keep your head spinning. Encore makes this process nice and easy for you, giving you the ability to author your own discs and audio to make the highest quality DVDs. This Adobe Encore CS6 training course teaches you how to create top quality DVD and Blue-ray discs using this popular software from Adobe. Adobe Audition CS6 The Easy Way: Making great sounding music is no easy task but after this course you might just be the next big thing in music. You will start with the basics of Audition CS6, covering audio fundamentals such as what sound is, and how Audition handles digital audio. This video training course is designed for beginners with as little as no previous Audition experience, but still provides useful tips and tricks for advanced users as well. Either way, you will be a pro in no time! These courses are taught by some simply stellar instructors, and by the time you’ve worked your way through each and every tutorial your proficiency with all things CS6 will be through the roof. So get started today…in fact, get started right now. Don’t wait any longer. 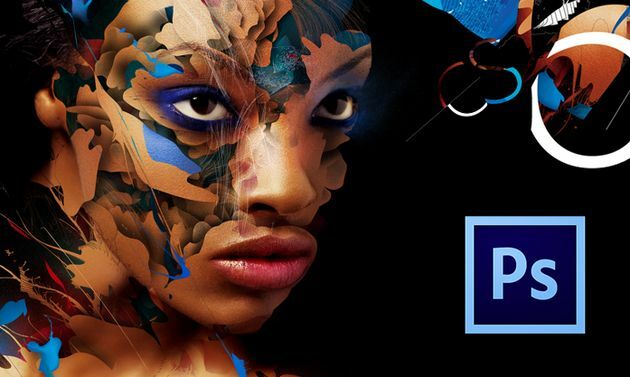 Head to the Cult of Mac Deals page and get The Adobe CS6 Training Bundle for just $99!